Are you like us? Do you occasionally turn to YouTube for tips and tutorials? From baking salmon so that it’s flaky and crispy to changing a flat tire, we turn to YouTube to learn. It has also helped us in the classroom. If we have a tough grammar or writing concept that we’re going to teach, we might refer to TeacherTube and YouTube as resources. These online tutorials have been like superheroes to us as adults, and we began wondering how we could create online lessons to help our students too. Over the past few years, we have been thinking deeply about the pedagogical approach known as flipped learning. Traditionally, flipped learning has been defined as a learning environment where students learn new content independently. Such learning has typically occurred outside of the classroom for homework, and this approach has been used primarily with high school students in content areas such as science or math. We were intrigued. And yet, we had questions. Does flipped learning work for elementary and middle school students? How could we incorporate flipped learning in reading and writing workshop? Could we design lessons to be used in the classroom, as well as out? Could we use flipped lessons to teach new content and to review previously taught material? But mostly, would flipped learning truly benefit our readers and writers in elementary and middle school and if so, how? 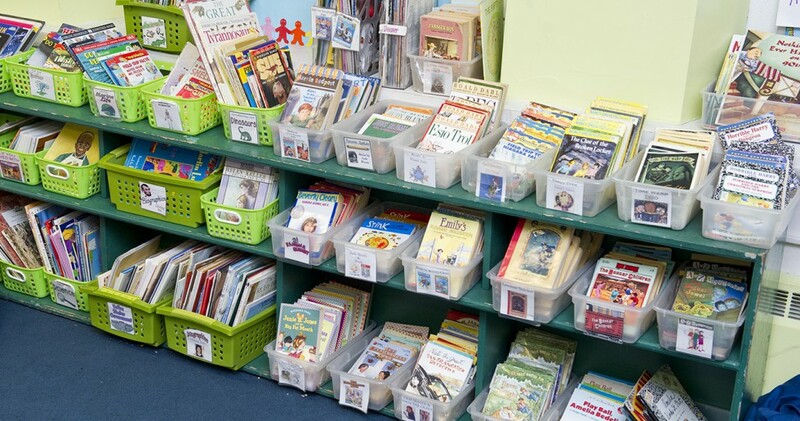 Picture a reading or writing workshop with a whole-class minilesson and the teacher conferring with students one at a time after the minilesson. Now, add to this image a few students learning additional reading and writing strategies from a flipped lesson on their own after the minilesson. In this blended-learning environment, students can take ownership of their learning and access instruction on reading and writing concepts that have been previously taught or concepts that are new. Flipped learning allows each student to move at his or her own pace. We discovered additional benefits as well. Individualized Instruction – We love the gentle chaos of the reading and writing workshop. By gentle chaos, we mean the individualized learning that is taking place. Our students are not in lockstep and our instruction is differentiated. Flipped learning helps our students access the instruction they need, when they need it. How many times have we had students who say, “I’m done!” during the first week of a unit? And how many times have we had students who need to review strategies over and over throughout the course of the year? When using a flipped learning approach in writing workshop, students can set goals at the start of the workshop, mid-way through the workshop, or at the end. In these ways and more, flipped lessons can be used to foster individualized learning in the classroom. Efficiency – How many times in our classrooms have we wondered aloud, “If there were only two more of me…” or exclaimed, “If only I could just clone myself!” In the reading or writing workshop, teachers are juggling multiple balls in the air on any given day. Flipped learning can be used to help our workshops run more efficiently. Picture this. On any given day, some students need help with a revision strategy. Others need practice inferencing. And still others need help getting started with selecting a book or an idea to write about. All of this is happening while you’re trying to confer with students or teach a minilesson to a small group. Flipped lessons function as superheroes who save the day! Flipped learning helps all students get the specific instruction they need, when they need it. Engagement – Flipped learning is a way to increase motivation and student engagement in reading and writing workshop. These short, creative lessons capture students’ attention and they feel encouraged to apply what they have learned to their reading or writing. We want to encourage our students to become active participants in their learning. Flipped learning helps students take initiative and become engaged learners. Assessment – Flipped learning requires rich, iterative assessment to move students forward. It is not a replacement for face-to-face interactions with teachers, and neither is it the panacea for all writing ailments in the classroom. Our role as teachers is critical. Our students NEED us to teach, guide, and follow up. As a result of accessing a flipped lesson, a pathway for students to assess themselves and receive additional support is key. Also, students should have a clear understanding of exactly how their teacher plans to assess their progress. This assessment can take many forms from conferring with students, to reviewing their reading or writing notebook or drafts, to completing an entrance/exit ticket, and more. For these reasons and many others, we began using flipped learning in our reading and writing workshops. If you’re intrigued about flipped learning in your writing workshop, a great place to start is to think about 3-5 lessons that would be good to flip. Ask yourself, “Which lessons do I find myself reteaching during the school year?” These might include: a lesson about how to write a single paragraph, a lesson about how to identify a theme in reading, or a lesson about dialogue punctuation. Then ask yourself, “Are there any lessons that my novice readers and writers might want to refer to over and over throughout the year?” “Any for my advanced readers and writers?” Reflecting on questions such as these along with the needs of your students can help you to brainstorm your first lessons to flip. We’re looking forward to talking much more about flipped learning at the Literacy For All conference in October. If you’re curious about flipped learning in the reading and writing workshop and would like to start making flipped lessons, come join us! Dana Johansen and Sonja Cherry-Paul, authors of Flip Your Writing Workshop: A Blended Learning Approach & Teaching Interpretation: Using Text-Based Evidence to Construct Meaning, are speaking at the Literacy for All Conference being held October 23-25, 2016 in Providence, RI. You can also find Dana and Sonja on Twitter at @LitLearnAct and on their Facebook Group called LitLearnAct.